The Net-A-Porter Spring/Summer ’18 sale is here and it’s a good one this year. A really good one. They are quite a few lovely dresses in particular. If you have been on the site lately, you know this season is one of my favorites in a very long time for dresses. There are so many good ones this season, the hard part is choosing between them—especially now that a score of them are finally on sale right here. Because it has been such a good season for dresses, I’m focusing my budget there. But there are also some great bags (lots of Saint Laurent and Valentino) and shoes (a bunch of the super hot Balenciago shoes are included here). I really love the Dodo Bar Or dresses at the moment (I seriously have my eye on the red one) and I’m really drawn to Needle & Thread right now. The red MSGM number is also a dream with it’s billowy, ruffle sleeves. As is the bright yellow Marc Jacobs column dress. And I wish I had a fancy wedding this summer because I want to wear one of the gowns below. I hope you do. The Ganni dresses are an absolute steal on sale. I could go on and on, but it’s time to shop. 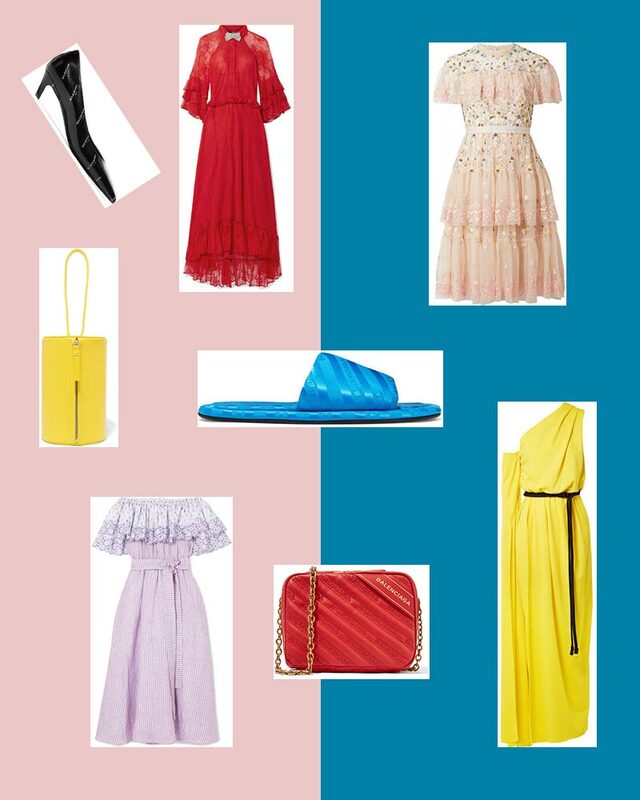 Here, all the best items from the Net-A-Porter Spring/Summer ’18 sale.